Will the White House reverse Jim Acosta's press access suspension? 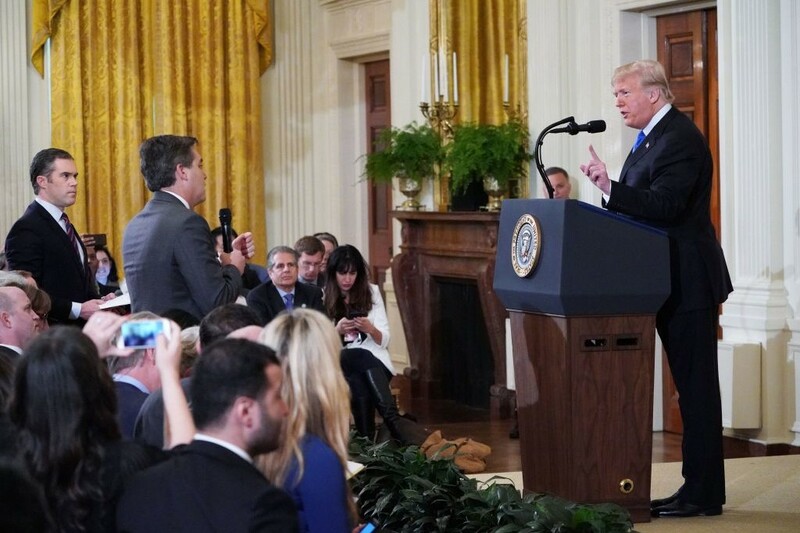 CNN journalist Jim Acosta was banned from White House after getting into heated argument with President Trump at a press briefing. The two confronted after Mr Acosta was questioning Mr Trump on his immigration rhetoric and Robert Mueller’s investigation into alleged collusion with Russia. White House press secretary Sarah Sanders later issued a statement that said the reporter's press credentials had been suspended because he put "his hands on a young woman". The press secretary called Acosta's behavior "absolutely unacceptable." CNN defended Acosta in response and claimed the was done in retaliation for his challenging questions during the press conference. The White House Correspondents’ Association slammed the White House over its decision to revoke the press credentials of CNN's Jim Acosta, calling it "a reaction out of line to the purported offense." The group added, "We urge the White House to immediately reverse this weak and misguided action."